Awareness 2 is the second of the Awareness sounds the original Awareness sounds deal with all levels of our awareness physical mental spiritual and emotional as well as the other levels of senses and energetic fields we may not even recognise and senses we may have forgotten that we have. Awareness 2 is a deeper level sound which goes into many of the unseen and or unknown areas of our lives and existances, these include contracts and obligations which may have been long forgotten from our past lives or incarnations which may still be affecting us in this current day and incarnation, as well as the areas of envy, spite, greed jealousy and so on which may be directed towards us without our knowledge. 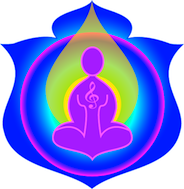 An extremely powerful set of sounds and restricted to the practitioners of the Energetic Balance and Harmony program. As with many other sounds, the Awareness 2 sound was not planned although both Susan and I were aware that there would be a second sound in this series. Awareness 2 did not present itself until after the completion of the Energetic Balance and Harmony course. It ‘sat’ around in my mind for some days before it was actually put into words, and it was quite a surprise when it was. The exactness and the levels that this sound covers are multi faceted to say the least, and it would be one of the more powerful of the Sounds from Source programs. To say that it is an incredibly powerful and far reaching sound is not to do it justice. Awareness 2 facilitates the clearing and balancing of the deeper levels of ancient and cosmic contract and agreements on all levels allowing the spirit to realign the balance and harmony of all levels of being. Comment From Susan - Sheila has always been one to stress 'be aware' and covers all bases when doing anything energetically or otherwise. This sound is for those who have may require some 'tidying up' of influences which may still be having some affect in the here and now. These are often subtle and may only become apparent when nothing else works, we realise that and so ask different questions. It is not always obvious that we or our client needs this sound so it is not usually a 'go to' sound for any immediate session. The sounds at these levels are very very powerful - it is a sound which is not played lightly.